Luckily, marketers have already discovered the nuts and bolts of what it takes to have a well-managed social feed. However, in following the pre-prescribed rules to scheduling posts and maintaining audiences’ attention, it can be easy to lose sight of the types of content that actually make sense for your brand. 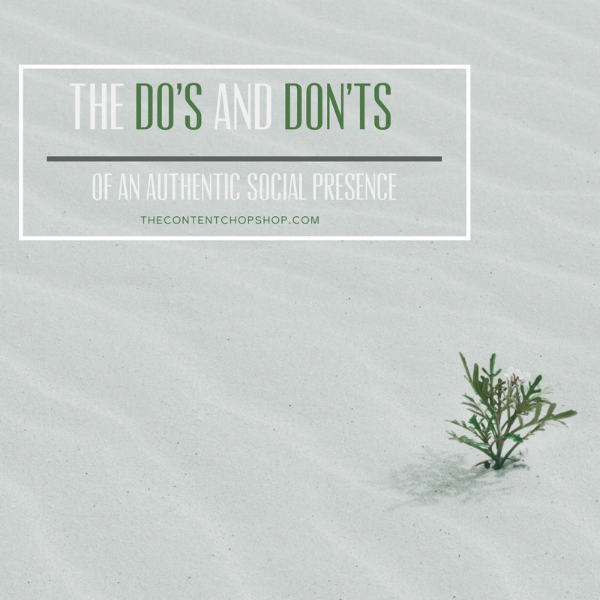 Achieving a truly authentic social presence takes a level of strategy matched with keen self-awareness. Consider the following tips your cheat-sheet to curating social media channels that your customers actually want to see pop up on their screens. 1. Know your audience — and speak directly to them! Creating a “likeable” social persona means engaging with your followers the ways they enjoy being spoken to. Whether you’re going for business-minded baby boomers or uber-trendy Gen Zers, do be responsive and keep your tone conversational. Don’t force it with predictable thoughts that beg for commentary; i.e. “We love cake, comment if you just LOVE cake!” People can tell when you’re trying too hard. It goes without saying that consistently scheduled posts keep your brand top-of-mind, but maintaining a consistent vibe is even more crucial. If you have a sassy, funky brand, do go for the sarcasm and the humorous references. If subdued zen is more your style, get deep! Don’t force a pop culture reference in an attempt at relevance. Whatever your brand values are, stick to them and allow them to show through every post. Of course it’s expected to promote your product or service via your social media, but don’t make every post a call to purchase something. Do give your followers relevant lifestyle content that’s useful and pleasing to the eye. You may even consider a contest or give-away to generate buzz and reward some of your loyal audience. Talk about fostering brand loyalty! Follow these simple rules of thumb to ensure plenty of double taps, and consider signing up to receive information on upcoming Fireside Sessions for an even deeper dive into developing your brand’s style and staying power.